Alexandru Belc's documentary was screened at AFI DOCS festival (June 22 – 26, 2016) in Washington D.C. Cinema, mon amour was one of the 94 documentaries from around the world slated for viewing at this year’s edition. In the same period, the documentary had its UK premiere at Edinburgh International Film Festival. "State-owned cinemas were bustling centers of social life during Romania’s communist heyday. Today, there are fewer than 30 left in the country. Cinema, Mon Amour chronicles the quixotic struggle of one theater director, 58-year-old Victor Purice, as he attempts to reverse his beloved movie house’s decline into obsolescence. The mustachioed, cigarette-dragging Purice keeps the projectors rolling purely through his own cinematic charisma, and his efforts to improvise around the theater’s lack of heat, money, and government support make for a funny and heart-rending tale", accordind to Washingtonian.com, in the article 14 Documentaries You Should See At This Year’s AFI Docs. 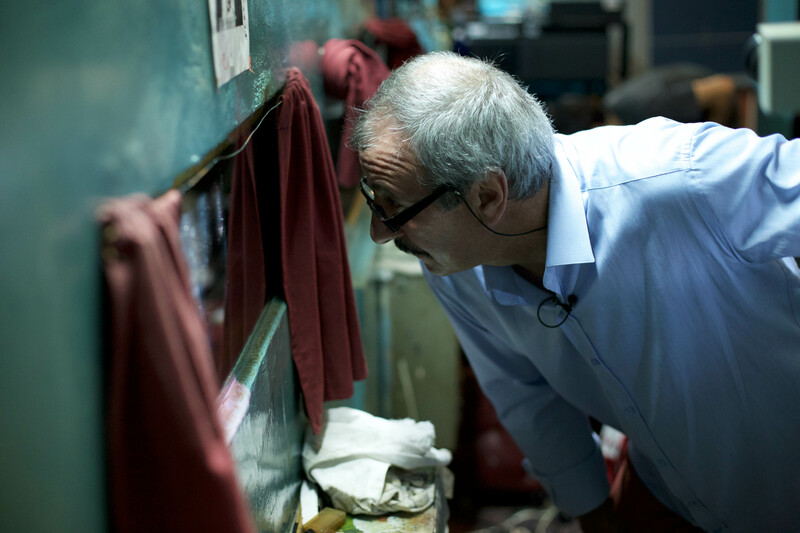 "As the last of Romania's once grand and abundant movie palaces slowly shutters its doors, theater owner Victor Purice and his dedicated but small staff soon find themselves going to ridiculous extremes in an effort to save their once great but now rundown theater. CINEMA, MON AMOUR is a funny and bittersweet look at the lengths that one man will go to in his quest to hold onto his dreams", writes Scott Mueller (www.afi.com). AFI DOCS is the nation's documentary film festival known for showcasing the best in documentary filmmaking from the US and around the world. AFI DOCS is also the only film festival in the United States that offers the unique opportunity to connect film audiences with national opinion leaders, filmmakers and intriguing film subjects. With conversations and experiences you won't experience at any other film festival, AFI DOCS harnesses the power of this important art form and its potential to inspire change. Screenings during this annual five-day event take place in landmark venues in Washington, DC and the world-class AFI Silver Theatre, the independent film hub of the metropolitan region.